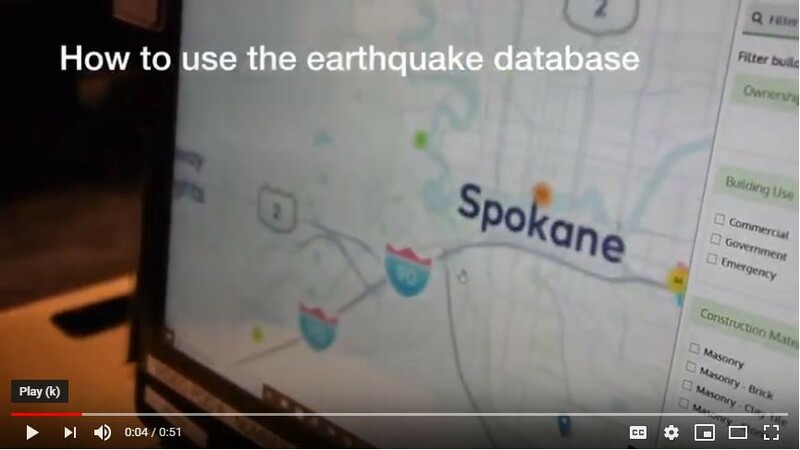 A new interactive database launched in March takes us one step closer to help state and local leaders evaluate safety needs for buildings during an earthquake. The database — while not comprehensive — presents a partial list and map of potentially unreinforced masonry buildings, or URMs, throughout the state. The database is one of several recommendations from experts convened by Gov. Jay Inslee to prioritize and focus the state’s earthquake readiness efforts. In addition to listing URMs, the website allows you to search by city, county and legislative district. You can also filter the database results by ownership (public or private), building use, construction materials, URM status, historic status, construction date, and vacancy and underutilization. 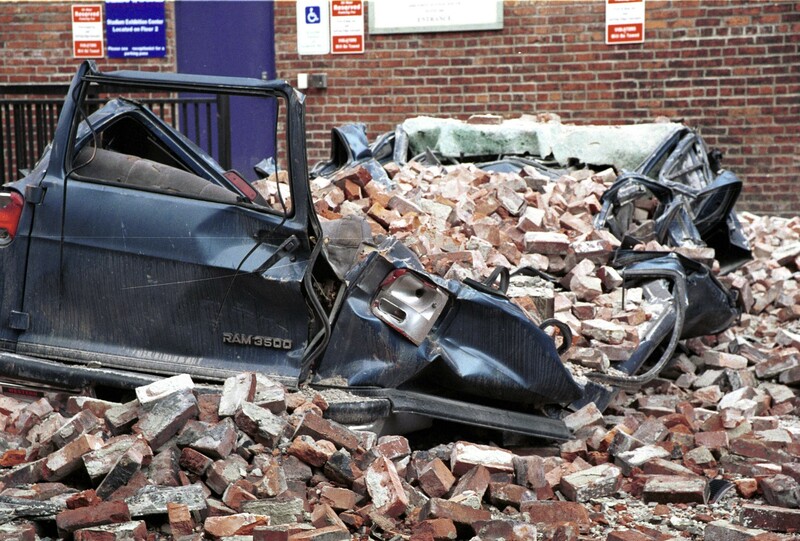 Bricks or even entire chunks of building materials from URMs are more likely to fall and hit people, cars or other buildings during an earthquake. An unreinforced masonry building is where there is no steel (such as rebar) to reinforce the load-bearing brick-and-mortar wall. Without reinforcement, the side-to-side motion that occurs during an earthquake could damage these types of walls. Identify data and information gaps that hinder preparedness and response plans. Identify data and information to help guide a strategic public education campaign centered on personal preparedness. Develop potential actions that can be coordinated across state agencies, local jurisdictions and federal partners to reduce risk and improve response in the event of an earthquake or tsunami. Identify, prioritize and estimate costs for state actions that will improve public safety and earthquake preparedness and response. 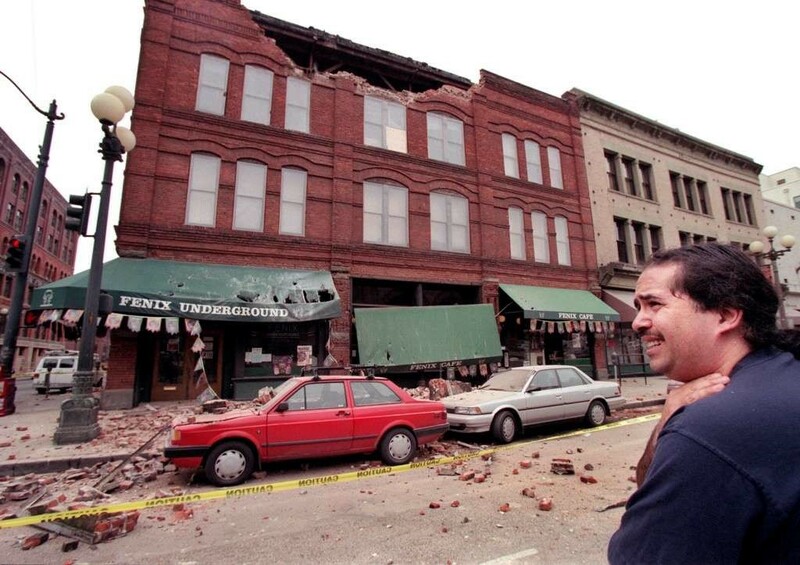 A slab of front-facing bricks (parapet) fell in front of the Fenix Underground storefront in Seattle during the 2001 earthquake that rocked the region. (Photo courtesy of FEMA). The database is one of the items that came out of the subcabinet committee recommendations. The Department of Commerce oversaw a study in 2018 that shows, to the greatest extent possible, a list and a map of suspected URMs. Commerce assembled an advisory committee to monitor the project’s progress and to make recommendations about how to collect data and structure the database. Conducting the study and building the database took eight months from start to finish, and involved agencies and contractors. Alice Zillah, section manager for research services at Commerce, said we can’t make more buildings safer during earthquakes until we know how many buildings we are talking about. So, the project was an important first step, Zillah said. Seattle, for example, has identified about 1,500 masonry buildings that matched the criteria. Even though some of the URM buildings have been reinforced, they remain in the database for earthquake preparedness and response purposes. Experts filtered data by year, material and non-single-family residency status. They confirmed or suspected an estimated 4,400 buildings across the state to be URMs. About 395 of them are publicly owned. More than 150 are emergency services facilities, such as fire and police stations. If an earthquake were to damage these facilities, the ability of first responders to provide lifesaving functions could be compromised. Terbush said someone, such as a contracted engineer, needs to look at the list more closely since some of the buildings were recently reinforced, and then determine which buildings need more work. While the database uses the most recent data collected, updates depend on whether the Legislature continues support and funding. Steven Friederich, public information officer at the Washington Military Department, said that knowing whether you’re in a URM building during an earthquake is important. That’s when you’d need to drop, cover and hold instead of rushing outside. “When you evacuate a building during shaking, you expose yourself to significantly more hazards than staying inside,” Friederich said. 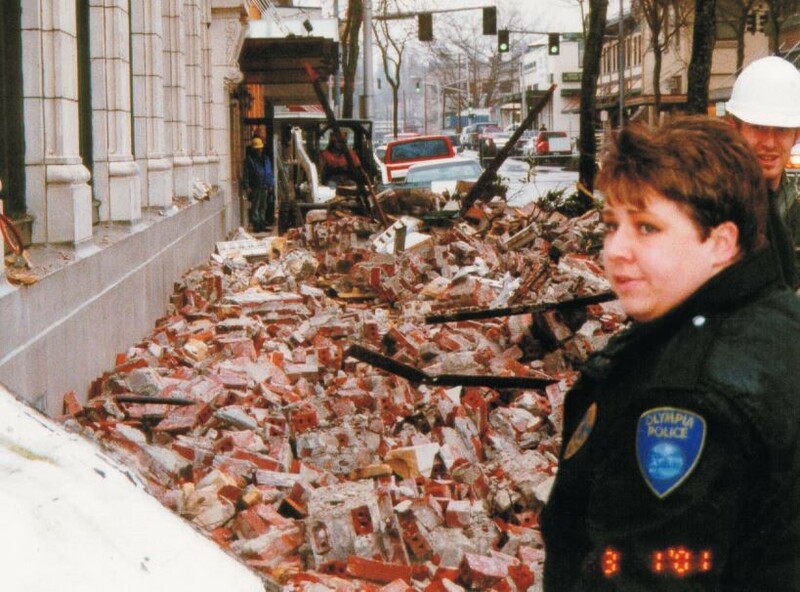 Previous earthquakes in Washington — such as the Nisqually quake in 2001 — damaged many URM buildings. What did the aftermath look like? Bricks, facades and parapets (the highest section of a building’s face) fell onto sidewalks and spilled into streets because there were no restraints holding them in place. Even if falling bricks don’t hit anyone, damages to infrastructure can costs millions of dollars to repair, Friederich said. Friederich said the database is the first of its kind in Washington and encourages people to visit the site. While the map doesn’t contain single-family residences, it shows apartment complexes and public buildings such as fire departments and libraries, as well as commercial and industrial buildings. Washington has no law that requires landlords to retrofit a URM building. So if you talk to yours and learn there is no plan to retrofit your residence or workplace, your next step is to determine what life-safety actions you need to take. 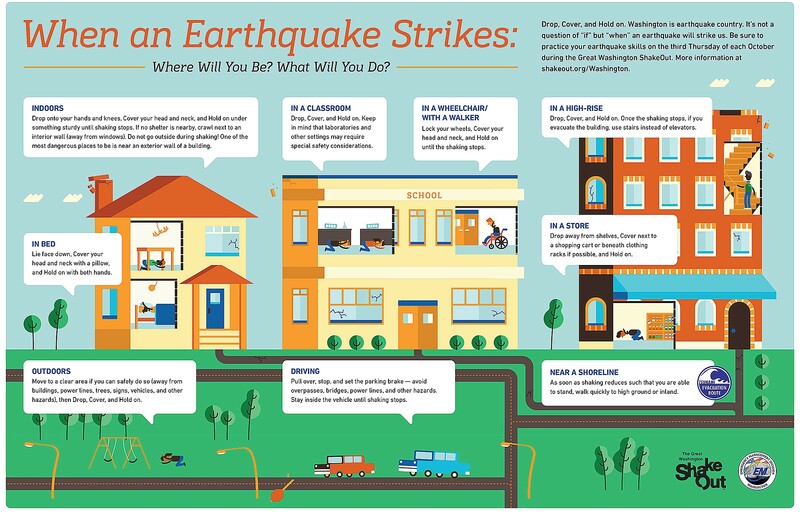 This means you need to identify places in your building where you can drop, cover and hold so you don’t run outside during an earthquake and into a more hazardous zone. More strategies are being developed to seismically retrofit emergency services buildings that pose a risk. In addition, the Military Department requested legislation that would create a building standard for facilities that house emergency services. This would increase the likelihood that emergency services and first responders would be immediately available and able to respond after a catastrophic event. A principal part of the database research came from Seattle, Tacoma, Washington State Department of Archaeology and Historic Preservation and the Washington Information System for Architectural and Archaeological Records Data. You can access the database through the Military Department’s website. You can also access Inslee’s earthquake response directive on the governor’s website.